I envy people who write easily. I enjoy the process, but it's not easeful for me. Charles was married to Robyn (Trethewey) Krauthammer in 1974 whom he met in Oxford University in England. She is from Australia and has worked as a law clerk for the chief justice’s office. They have been together for 44 years and has one son named Daniel Krauthammer, was born in 1986. 1 Who is Charles Krauthammer? Charles Krauthammer was an American syndicated columnist who wrote a weekly piece on America’s politics. Pulitzer Prize-winner is a contributing editor to “The Weekly Standard” and “The New Republic”. His weekly column was syndicated to more than 200 newspapers globally. Charles died on 21 June 2018, in Atlanta, Georgia, United States due to Small intestine cancer. 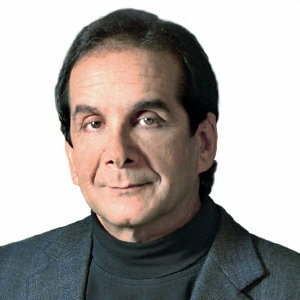 Charles Krauthammer was born on March 13, 1950, in Manhattan, New York, US. His father’s name was Schlum Krauthammer, is a Ukrainian and mother’s name is Thea Krauthammer who belongs to Belgium. Furthermore, he had one brother name, Charles Krauthammer. He was of American Nationality and was Ashkenazi Jewish ethnicity. He was educated from Hebrew School along with his brother and then graduating from McGill University in Montreal with First Class Honours in both economic and political science in 1970. Furthermore, he studied as a Commonwealth Scholar in politics at Balliol College, Oxford and then graduated with a doctor of medicine from Harvard Medical School in 1975. While at Harvard he was in a diving board accident which made his lower body below the neck full paralyzed that lasts for 14 months to recover. During his teenage, he worked as a sailing instructor at a day camp. He started working as speechwriter to Vice President Walter Mondale in 1980. After that, in 1981, he worked as both writer and editor in The New Republica before started writing essays for Time Magazine in 1983 where he got acclaimed as a writer, writing an essay on Reagan Doctrine. Later in 1984, he was board-certified in psychiatry by the American Board of Psychiatry and Neurology. After that, he began writing for The Washington Post where he was honored of receiving Pulitzer Prize for commentary in 1987. Besides that, he was hired to join a weekly political roundtable on PBS ‘Inside Washing’ before coming to an end in 2013. He worked as a commentator and political analyst on Fox News. Apart from columnist, political analyst, and commentator, he was an author also, who had published ‘Things That Matter: Three Decades of Passions, Pastimes and Politic’ which became The New York Times bestseller list for 38 weeks. For his contribution, he received a plethora of award including the People for the American Way’s First Amendment Award, the Champion/Tuck Award for Economic Understanding, the first annual Bradley Prize, and the Eric Breindel Award for Excellence in Opinion Journalism and also received William F. Buckley Award for Media Excellence in 2013. As a result, his estimated net worth is of $8 million dollars. Charles recently shared on 8th June 2018, that he just had a few weeks left to live because his tumor is being spread rapidly in his body. He was 5 ft 8 inch or 173 cm in height and weighed around 78 kg or 171 lbs. His both hair and eye were black in color. He was active on both Twitter and Facebook but not on Instagram. He has over 867k followers on Twitter and 186k on Facebook. Fox News political analyst Charles Krauthammer reveals the reason behind his non-appearance on the TV show! He has untreatable abdominal cancer!